Poet Laureate Carol Ann Duffy read her own work with music by Jane Lawrence as part of Didsbury Arts Festival. Door charge: £5. Proceeds to Poets & Players. Linda Chase, who died in April 2011, was a poet and a great social spirit, in Didsbury and far beyond. The Poet Laureate, Carol Ann Duffy, and musician Jane Lawrence paid tribute to her through their own poetry and music. Poets & Players express their sincere thanks to Didsbury Arts Festival and Carol Ann Duffy for this very generous donation. Carol Ann Duffy supported Linda’s vision for Poets & Players from beginning and generously gave up her time every summer to read for free at Linda’s Poetry Garden Party, a fund-raising event for Poets & Players and the Poetry School, Manchester. Carol Ann also regularly donated ‘lots’ for the Garden Party Auction, including ‘dinner with Carol Ann Duffy’ at the very first event and last year, a hand-written copy of her poem ‘Silver Lining’ which led to a lengthy bidding war! Jane Lawrence is an old friend of Linda’s and has always been a popular performer at Poets & Players. She been playing fiddle and piano since she was a child. 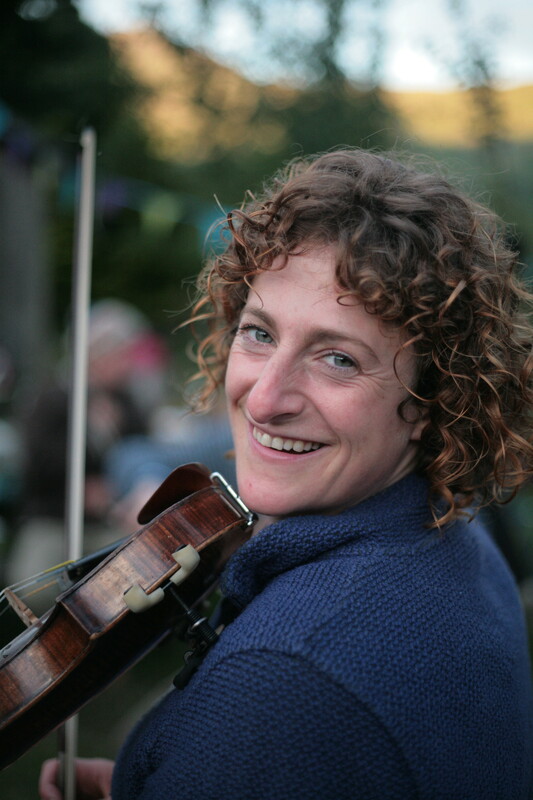 She teaches and runs folk groups and choirs in schools and currently plays with the fantastically uplifting Balkan/ Klezmer 7-piece band, The Balkanics. As well being a busy mum of 2, she loves digging on her allotment, swimming in rivers and lakes and cycling in the Lancashire hills.